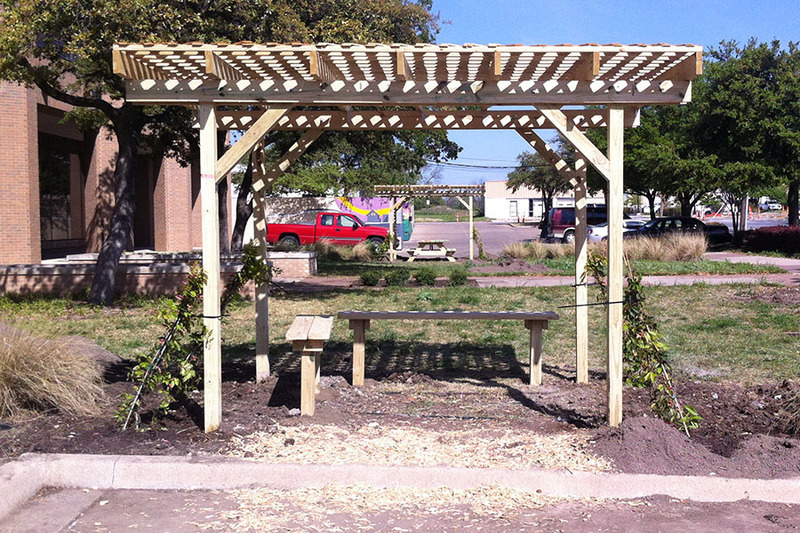 How to build a shade structure | KaBOOM! Take  of the 2x2x8' boards. Cut each into  48" pieces, for a total of  2x2x48" pieces. Take the  4x4x36" pieces previously cut. Using the miter saw, cut 45° off both sides, creating a 36" trapezoid. The posts need to be level both side to side and front to back. 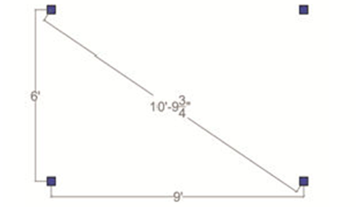 They also need to be in a straight line with proper alignment (see photo). A string-line can be helpful for this. Next, take the  2x6x12' boards and lay them on the ground. The 2x6x12' boards will run parallel with the long side of the structure stretching roughly 16 ½" past the outside of the posts. 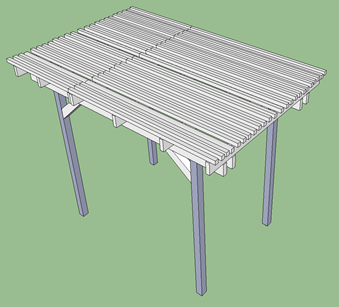 The 2x6x12' boards will run on BOTH sides of the 4x4 posts. 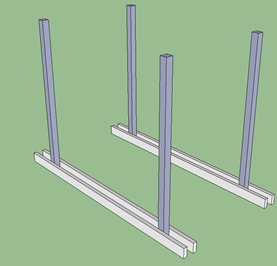 Using two ladders, raise the headers to the tops of the 4x4 posts and level them (keep in mind the tops of the posts might not be exactly the same height and that is not necessary). 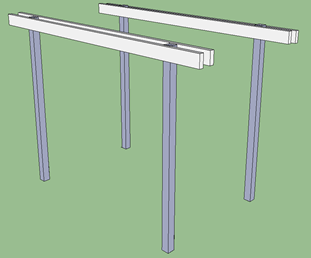 Attach the headers to the posts temporarily with 2 ½" screws. Using the long, ½" drill bit, drill 1 hole through both 2x6x12' headers and the 4x4 post in order to fit the 8" carriage through this hole. Now you'll place a carriage bolt through each hole you've drilled (there should be a total of 4 holes; 1 through each post). Put the carriage both through the hole so that the head of the bolt is facing outward and the washer and nut are on the inside of the structure. Next you'll attach the 4x4x36" trapezoid braces. Make sure the 45° angle sits flush with the 4x4 post but also passes through the 2x6x8' headers. 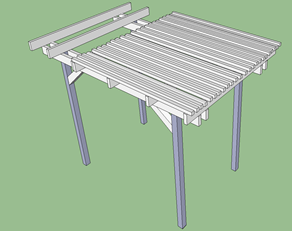 Attach the lower end of the 4x4 trapezoid brace to the 4x4 post using the angled brackets and the 1 ½" nails. 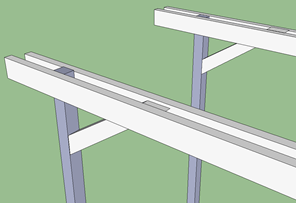 On the higher end of the trapezoid brace, use the ½" long drill bit to drill a hole through both 2x6x12' headers and the 4x4x36" trapezoid brace. Place a 8" carriage bolt through this hole and attach using a washer and nut, again making sure the head is on the outside of the structure and the washer and nut are on the inside. Repeat this step for all 4 trapezoid braces. Next, layout the seven 2x6x8 rafters above the headers. The rafters should overhang the outside headers by about 8 ½" on each side. The rafters should be roughly 22 ¼" apart. 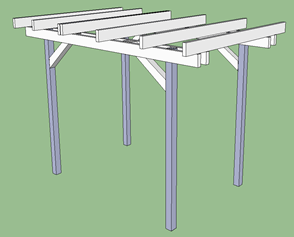 The end rafters should be approximately flush with the end of the headers. There are 2 rafters, side by side, to cover the seams where the 2x2x8' boards will meet the 2x2x4' boards. 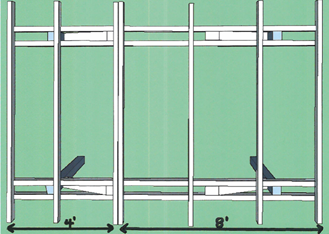 These 2 side by side rafters should be placed 8' from the end of the headers (see photo). 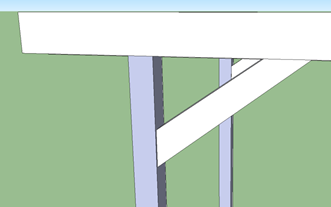 Use the rafter ties to attach the rafters to the headers. 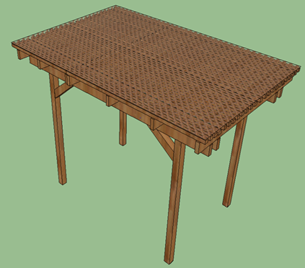 Make sure that 2 rafter ties are used per rafter (one on each end). Use the 1 ½" nails to fasten the rafters to the headers. Next attach the 2x2x8s on top of the rafters using the 8d nails. They should be evenly spaced about 2 ⅝" apart. The 2x2s will meet on one of the two rafters that are side by side and overhang the outside rafter. Next attach the 2x2x4s on top of the rafters, again, using the 8d nails. 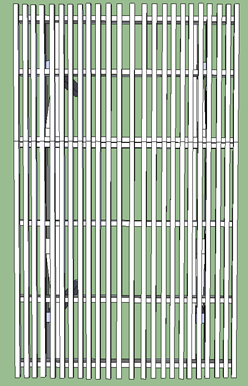 The 2x2x4s should line up with the 2x2x8s and therefore should also be evenly spaced about 2 ⅝" apart. 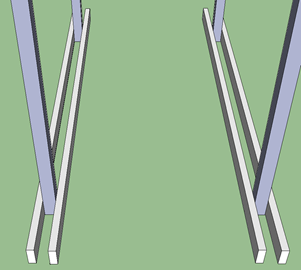 Similarly, the 2x2s will meet on the other rafter that is placed side by side and overhang the outside rafter. 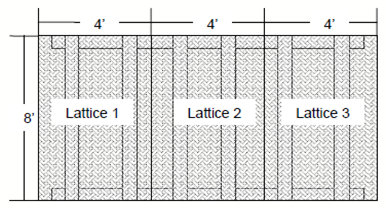 Finally, use the 8d nails to attach the three sheets of 4'x8' lattice onto the 2x2x8s. Orient the sheets of lattice as shown.